We will have the CTSART trailer open. We will be reviewing and organizing our inventory. It is a great opportunity to acquaint yourselves with CTSART. Volunteers will be available to review what we do. Come see the animal shelter supplies used in deployments and meet team members. Please stop by anytime between 10:00 am and 12:30 pm. Bring Volunteers! 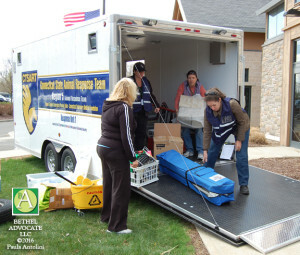 We hope to do a similar “Open Trailer Day” in Torrington, soon.